CAD $50.00 – CAD $100.00 Tax Incl. Want to know what solar can do for you? Order your solar power home assessment. Get a full view of the solar charts & weather data, all the financial numbers, plus a detailed design & equipment estimate. Because you want the best information before entering the world of renewable energy. Offer ends December 31. Order yours today! When you ask a typical solar installer: “What will a solar power system cost?”, you may get a blank look. It’s a lot like asking a car dealer what a new car costs, without telling them that you drive 6 kids to activities all over the countryside, or run a landscaping company on weekends, or like 0-100km/h in 3.5 seconds. The answer to the question depends on how much power you would like to generate, and usually that depends on how much power you currently consume. Perhaps they throw a number at you to see if you are really serious. Something like $10K-$15K for a system that will offset approximately 50% of a typical Canadian home’s annual consumption. But it doesn’t tell you anything about the system you are likely to get. Are you a typical home? How are your roof angles? Are there trees in your backyard? If you are going to invest, wouldn’t you like to know what equipment is recommended? What the system will look like? How long it will take to pay it off through utility bill savings? 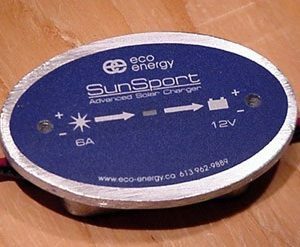 If you want more than cookie-cutter answers, and want to seriously look at bringing solar into your life, then you are ready for a Solar Power Home Assessment from Modern Outpost. Nobody needs to come to your home or construction site… Satellite imagery is used to assess your available solar array spaces. The solar charts & weather data for your location is combined with all your roof angles & obstructions & processed through the simulators so you have a good idea as to what’s possible from a solar PV installation. 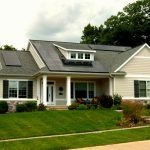 We’ll also suggest the best options for getting started with solar given your design goals, and budget. You’ll learn which manufacturers have the best reputations, how to achieve the best aesthetics in order to improve your home’s market value, and how long it will take to recover your investment through utility bill savings. Written PDF Report outlining annual solar performance & your various siting options. You’ll see what you will be generating annually so you can compare against your utility bills & calculate your annual savings. ROI/Cash Flow Projection based on your consumption numbers (I can use your utility bills, or typical numbers if unavailable). Written Equipment Estimate outlining the best solution for your unique situation. I’ll take the time to review your budget & design goals so that you know exactly what’s included. $100 Instant Rebate on your purchase of a qualifying residential or commercial solar power system from Modern Outpost. 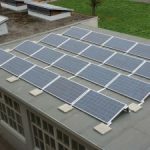 * A qualifying system includes any one or more of the following three components: solar modules (minimum of 8), grid-tie or hybrid inverter system, residential battery bank (3.5KWh or larger). Depending on demand, I can usually get your assessment to you within 72 hours. 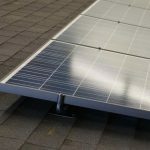 Once you have your assessment, you will be able to make a wise decision about purchasing a solar electric system for your home or property with confidence. Even if you choose not to purchase your system from Modern Outpost, having a complete solar site performance report and carefully designed system estimate is a valuable means of evaluating another supplier’s offerings. My goal is to demystify solar, and illustrate what it can do for you, because this is the best way for you to make an informed decision about moving forward into the world of renewable energy. Specifics vary from site to site, but here are some basics to consider (see our information package for more info (see our Solar Power Information Package for Homeowners for more details). Unlike that kitchen reno, residential solar power systems actually pay you back. Depending on utility rates & your power consumption patterns, your utility bill savings recover your initial investment within 12-18 years typically. PLUS, your solar investment is also a marketable asset! Real estate studies have shown that initial solar investments are almost entirely recovered when it comes time to sell your property. Can you imagine a more stable investment than energy in today’s climate? This is not a depreciating asset. The solar modules on your roof get more valuable each year as both inflation & utility rates rise. More and more dollars come off your bill every year your system is in service. 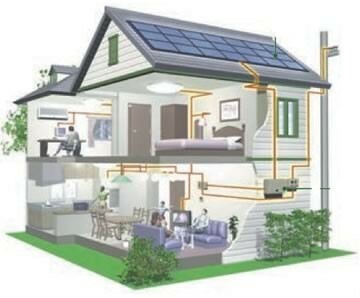 As mentioned above, most home selling prices increase by the value of the solar power system. This isn’t your tax assessment, this is an increase in your home’s marketability. 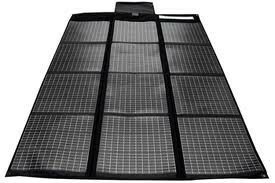 Performance warranties on the solar modules themselves are 25 years, with an expected life of over 40 years. Most of the other primary system components have warranties of at least 10 years, so confidence is high that your system will quietly do its thing trouble-free for years to come. Request your site assessment now, so you have the information you need to plan your future in solar power. The best time for grid-tied installations is spring if you are wanting to participate in Net Metering programs offered by your utility. If I Like What I See, Who Does The Installation? 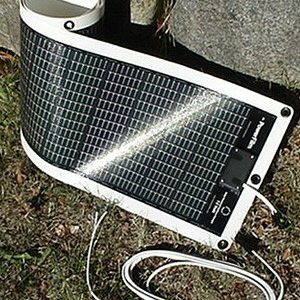 Modern Outpost designs solar power systems, and supplies all the key components. We have access to just about every piece of equipment available on the market, and choose the best options for your particular needs & goals. Unlike most installers who promote a single package, we can create the system that best meets your needs and expectations. We shop the world, and deliver to your door (free shipping by the way). While we don’t install systems ourselves, we work with homeowners and their contractors & sub-trades to get the job done quickly & professionally. Roofers and experienced contractors handle the rooftop installation as easily as installing vents & flashings. Electricians pull the wire & make the necessary connections to the utility (or battery systems in the case of off-grid). 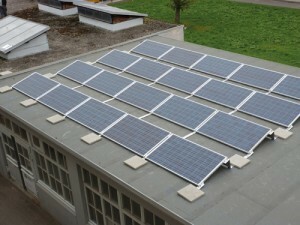 Most typical 12-20 module systems can be installed in 2-3 days. Many homeowners choose the DIY route. SOLAR POWER HOME ASSESSMENT TODAY!